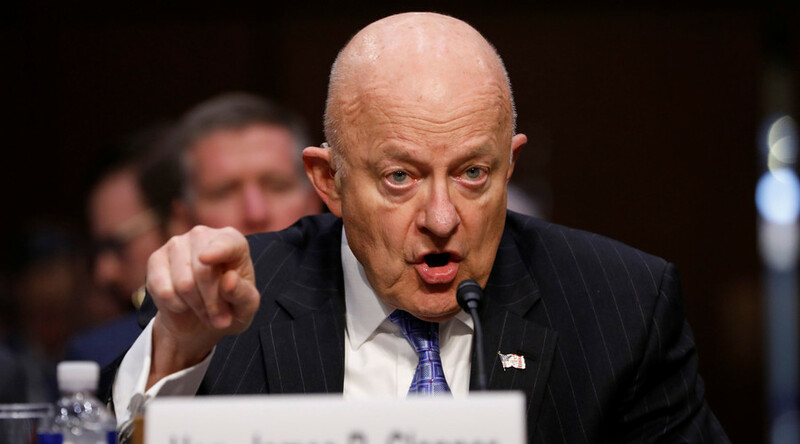 Former Director of National Intelligence James Clapper apparently believes that the Russian people are genetically hardwired to try to gain advantage by crooked means. At least that’s what he told NBC’s ‘Meet The Press’. Clapper talked to program host Chuck Todd on Sunday about claims that President Donald Trump’s son-in-law and adviser, Jared Kushner, had improper communications with the Russian government. Last week, Kushner was accused of trying to establish back channel communications with the Kremlin through the Russian embassy. The White House has denied the allegations. “I will tell you that my dashboard warning light was clearly on and I think that was the case with all of us in the intelligence community, very concerned about the nature of these approaches to the Russians,” the former director of national intelligence said, referring to Kushner’s known contacts with Russian officials. “If you put that in context with everything else we knew the Russians were doing to interfere with the election, and just the historical practices of the Russians, who typically, almost genetically driven to co-opt, penetrate, gain favor, whatever, which is a typical Russian technique. So we were concerned,” he added. Todd let the xenophobic remark pass by without comment and went on to discuss the FBI’s reported scrutiny of Kushner. Clapper’s comment, which appears to brand the entire Russian people as inherently untrustworthy, builds on a long-standing anti-Russian trend in the US mainstream media. The Russian government has been accused of a plethora of atrocities, from getting Donald Trump elected and committing war crimes in Syria, all the way down to weaponizing telepathic Antarctic squids. Oh my gosh. Former CIA director Clapper just said Russians might be "genetically driven" to do some things. NO! RACIST! Critics have warned that the Russia-bashing may eventually seep into Americans’ attitudes towards ordinary Russians. There are some three million people of Russian ancestry living in the US. The US has a history of persecuting people because of their race or ethnicity, including sending Japanese Americans to internment camps during World War II and enforcing segregation on black people.